QUESTIONS IN AN QUESTION ANSWER BOOKLET? candidates are not supposed to use mix languages. 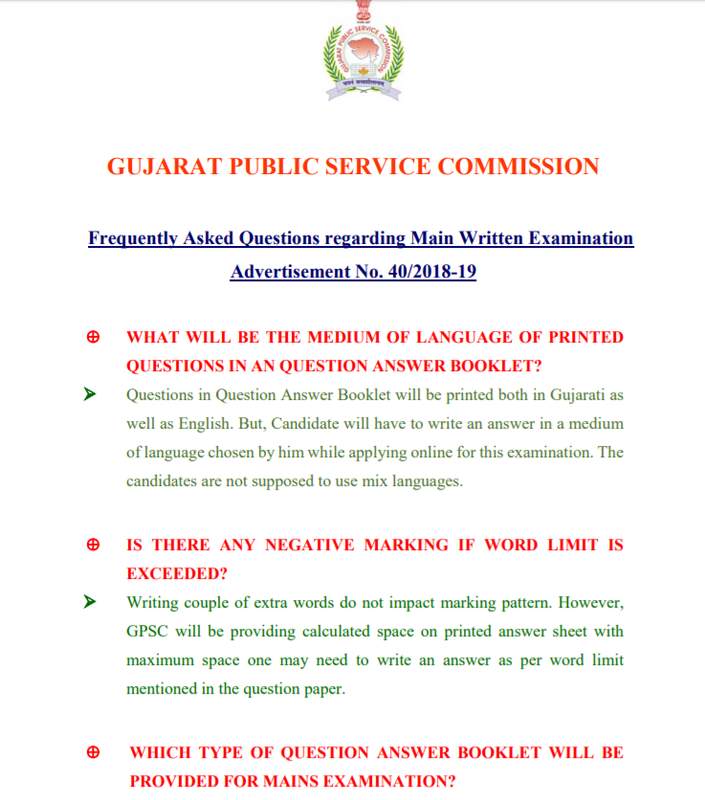 mentioned in the question paper. 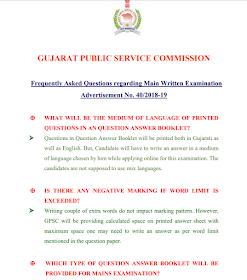  Question Answer Booklet will contain blank space below each question. PENCIL FOR UNDERLINING PURPOSE IN ANSWER WRITING? AND CAN ONE USE GEL PEN? point pen or pencil is not allowed for underlining or any other purpose. against the candidate as per settled norms by the Commission.  Candidates should use alphabets or numerical instead of name. etc. in their answer writing where it is mandatory to mention an address. ⊕ WHAT IS EXPECTED FROM CANDIDATE IN ESSAY WRITING? format is much expected while evaluation. ⊕ WHAT IF MY QUESTION ANSWER BOOKLET IS FAULTY? invigilator must be drawn immediately. ⊕ WILL I BE PROVIDED WITH EXTRA SUPPLEMENTRY? BOOKLET DURING WRITING AN EXAM? continue his writing while waiting for further instructions. the Commission after completion of whole exam. ⊕ WHAT IF I SIT ON WRONG SEAT NUMBER BY MISTAKE? BOOKLET properly before commencing paper.